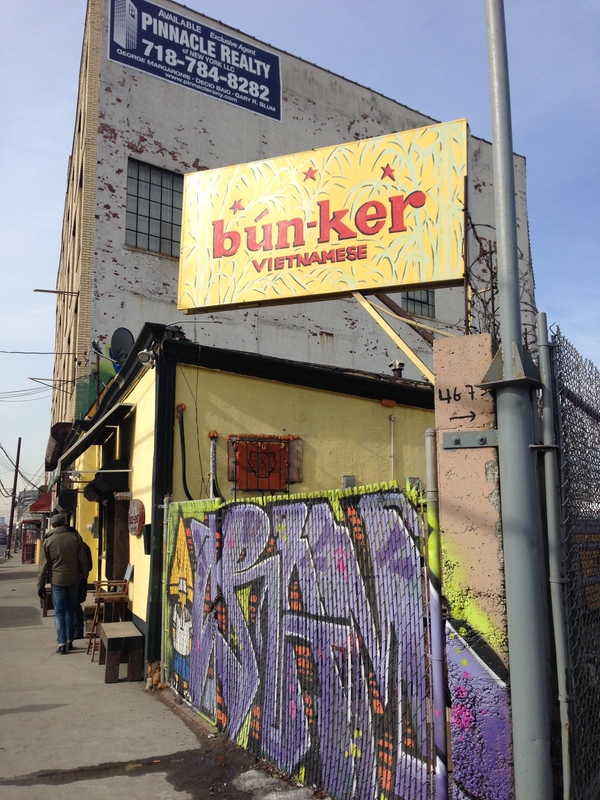 Bun-Ker Vietnamese, Way Way Way out in Queens. The other weekend we ventured out to Queens…way out to Queens. When we got off the stop and saw 2 hipsters walking in the same direction, I knew they must be going to the same out of the way Vietnamese place. It’s across from a scrapyard and there is nothing much around. But oh was the food good! 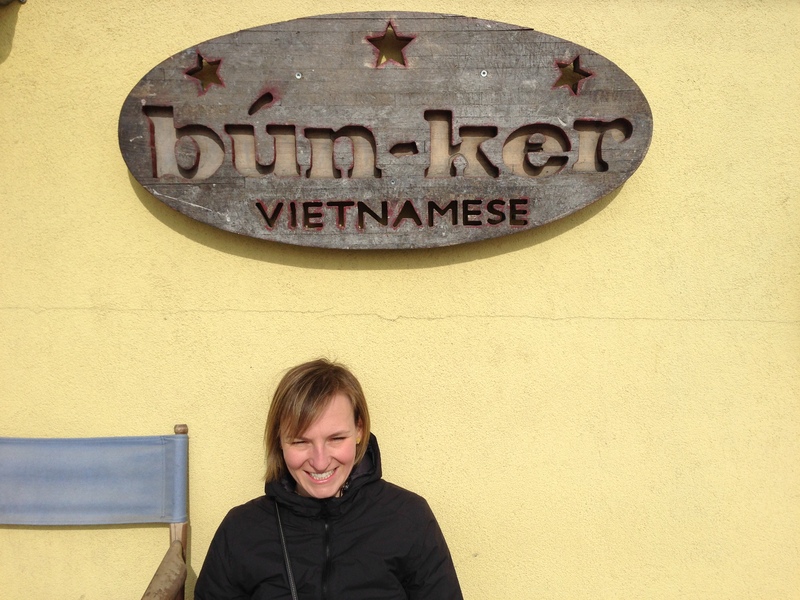 The chef used to be at Eleven Madison Park and was looking to bring Vietnamese street food to NY. We had to wait outside until it opened at noon, and pretty quickly the 8 or so tables were all full. 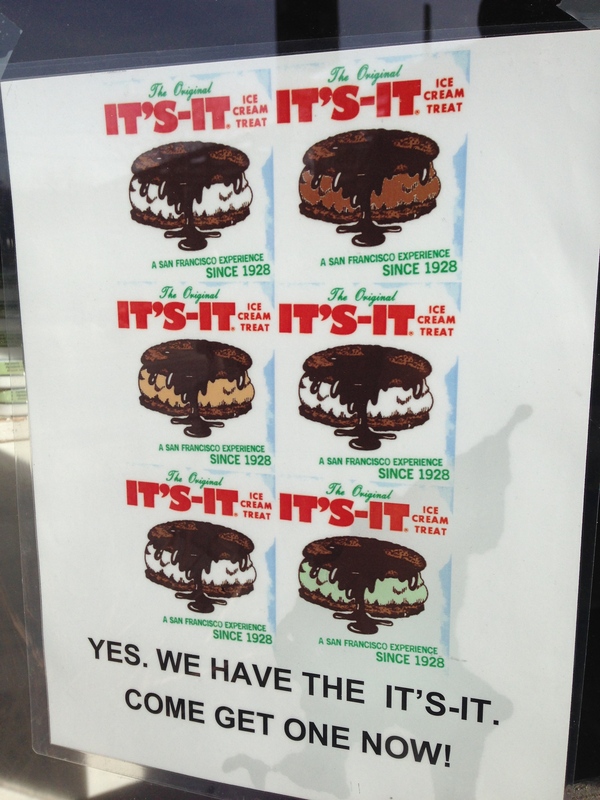 We walked back to Williamsburg where we discovered a sign for It’s It – ice cream sandwiches made out in California. I’ve never seen them on the east coast. To get them here, you need to pay $5 a sandwich, versus $5 for a box of 3 at Safeway. They didn’t have the classic one: 2 oatmeal cookies with vanilla ice cream dipped in chocolate. When it warms up, we’ll have to try again. < Previous 4 Layer Cake. Because I Had 2 Very Flat Layers. Next > Post 400?!?! Winter Flowers.